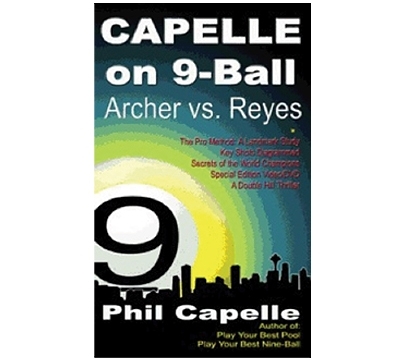 This book combines with a classic Accu-Stats DVD of a match between Johnny Archer and Efren Reyes to give the serious student of 9-ball the ultimate learning experience. Part I of the book is a companion guide to the match that analyzes over 120 of the shots and includes 88 lessons. 27 shots are diagrammed. Part II is a landmark 80-page study on the pro method that includes 23 lessons on how to improve your game. The DVD is a complete reproduction of a double hill match. Capelle uses special effects to analyze 25 of the key shots. The book is 200 pages. The DVD is 2 hours.